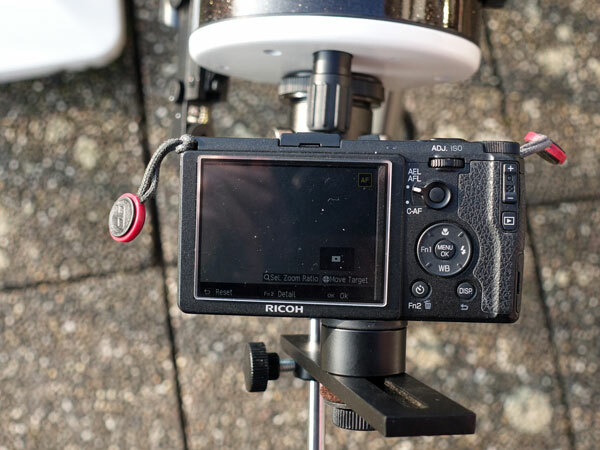 On this page, I demonstrate how I attach the Ricoh GR (28 mm equiv.) 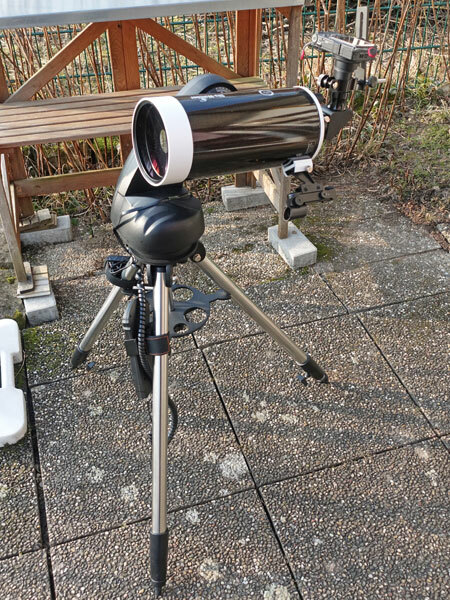 at a telescope eyepiece using Digiklemme 1, in order to take astro photos using the projection technique. 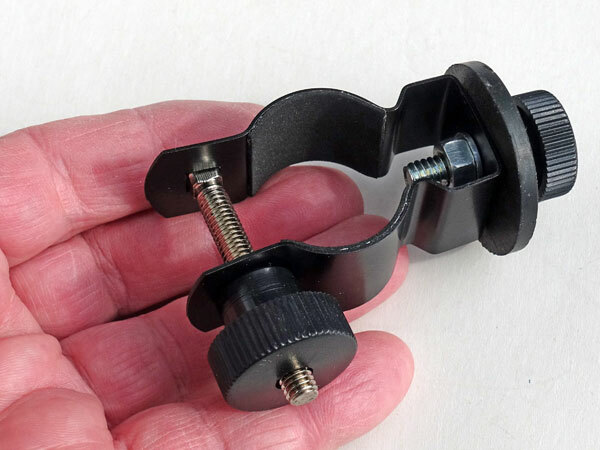 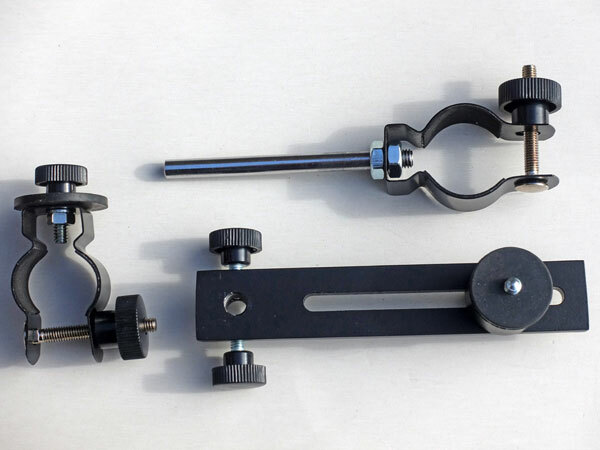 In my special case, this is a simple 25 mm Sky-Watcher eyepiece, because this is my only one that can be clamped (40 mm eyepiece diameter at maximum). 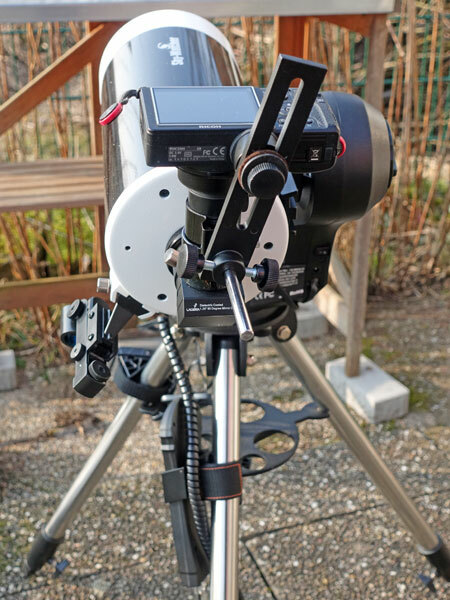 Projection technique thus means that the camera is mounted to the eyepiece, not directly to the telescope. 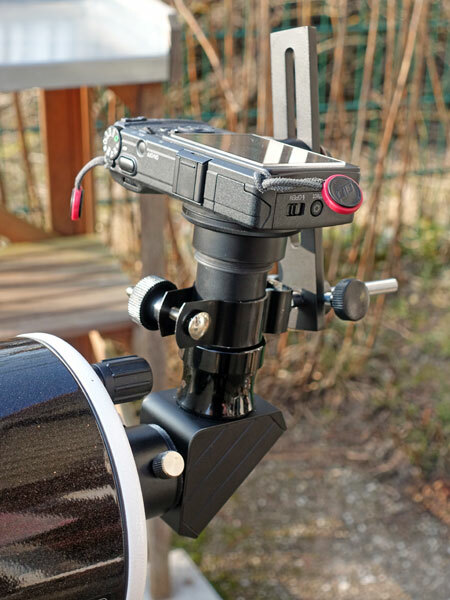 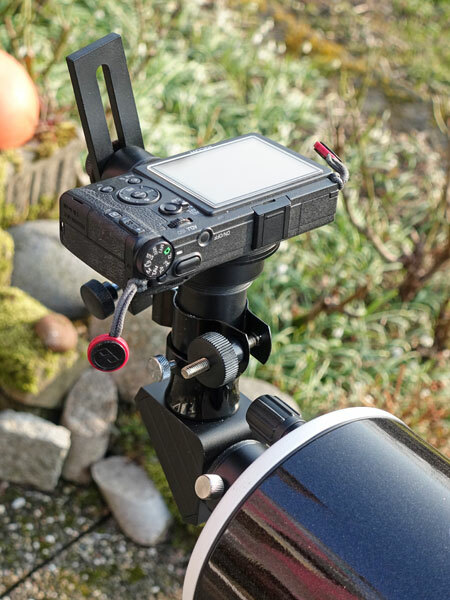 The latter technique can only be used with SLR cameras where the body can be directly attached to the telescope - typically using a T-mount adapter. 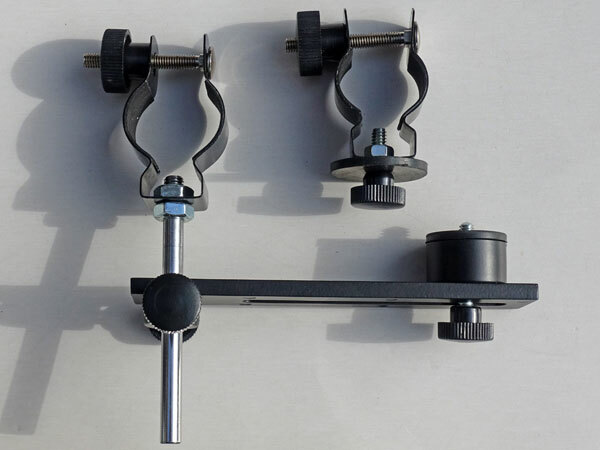 I mention the 1:50 method several times on this site. 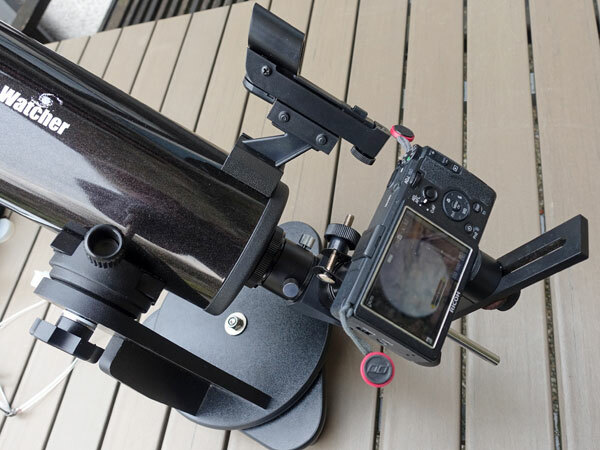 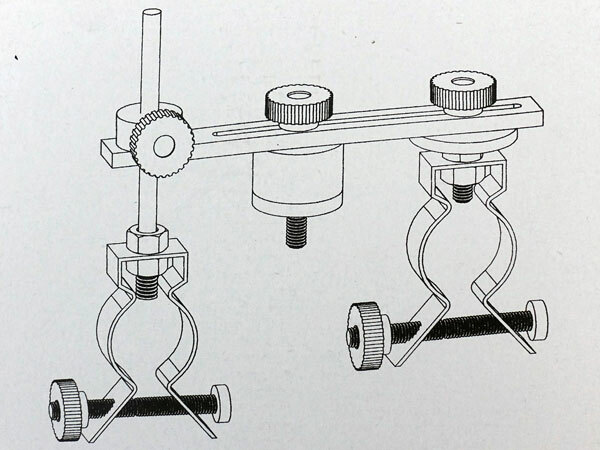 This is a simple variant of the projection technique - you hold the camera by hand to the eyepiece instead of attaching it firmly. 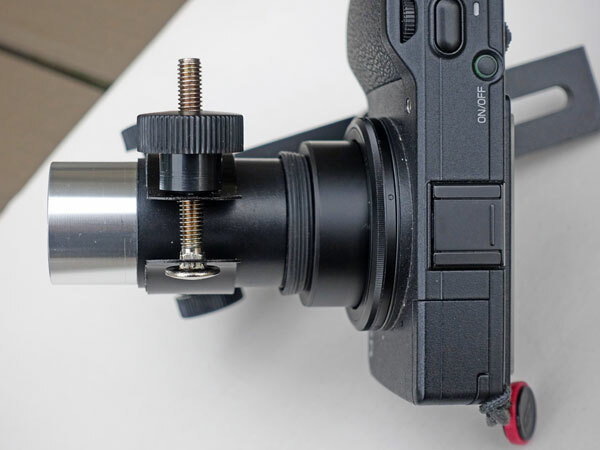 I have done this often with the Ricoh GR, because on the one hand it does not have a filter thread, and on the other hand it is well suited to this method. 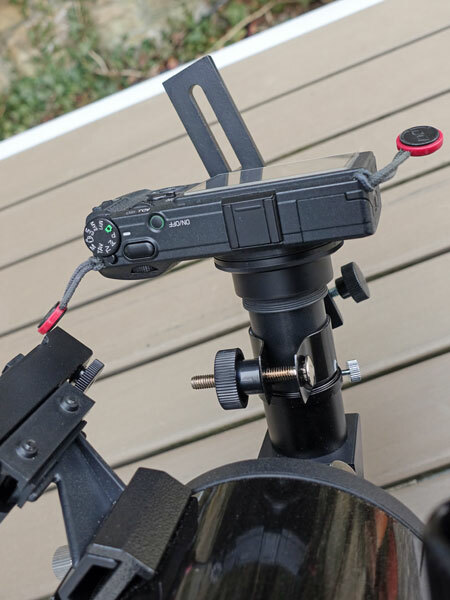 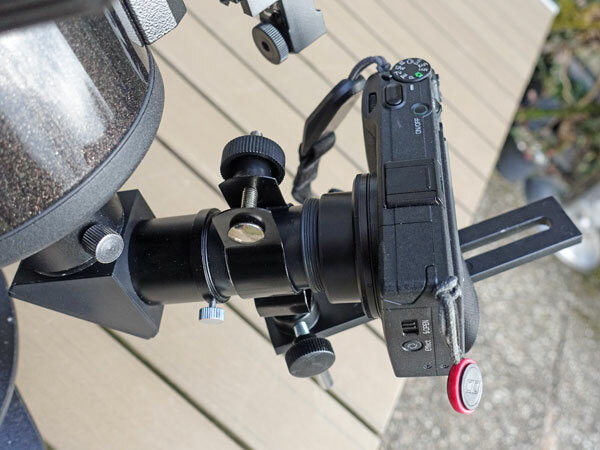 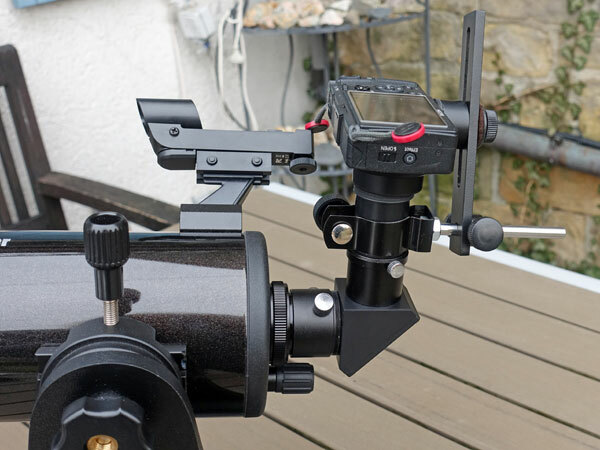 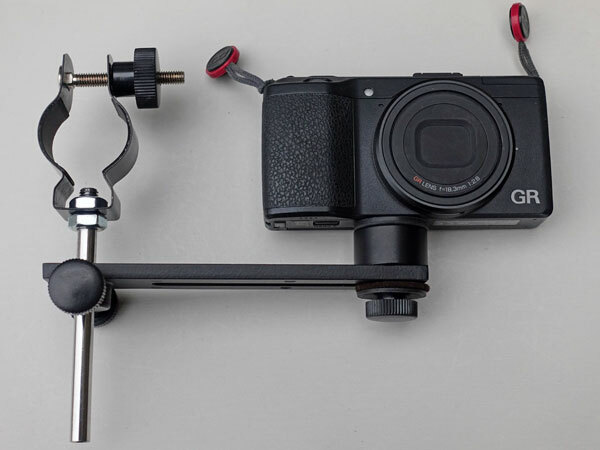 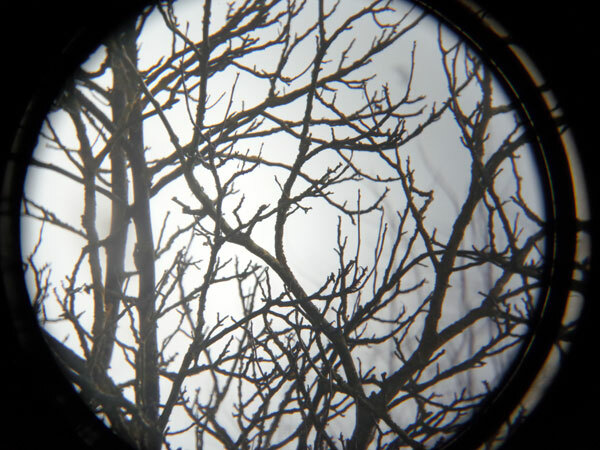 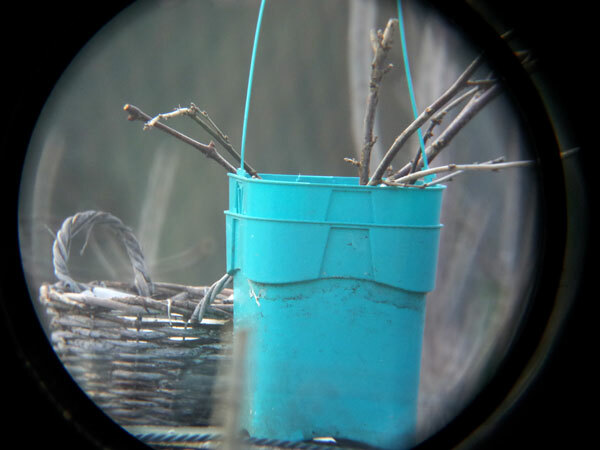 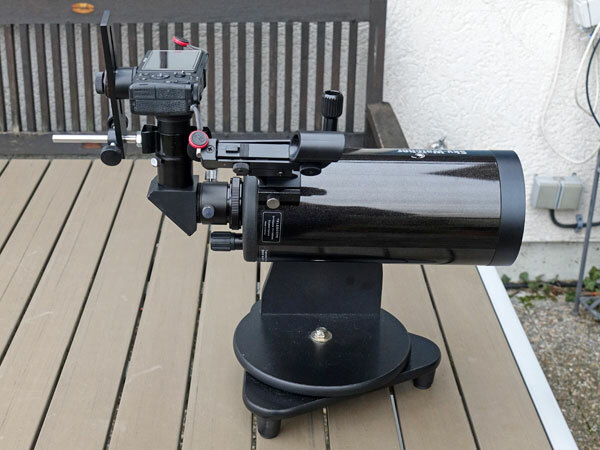 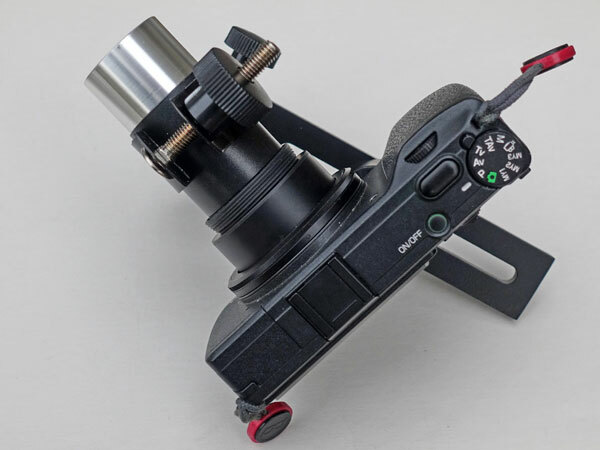 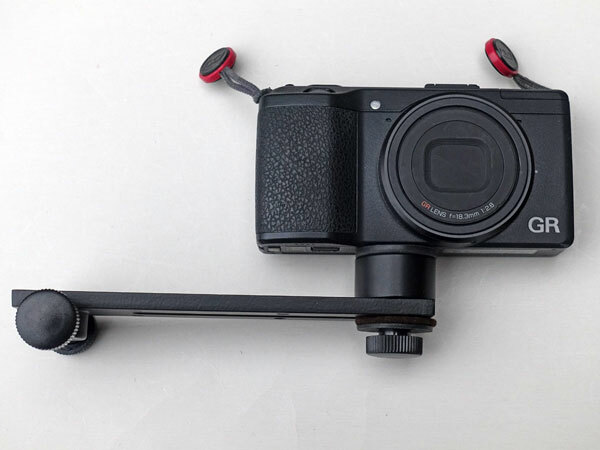 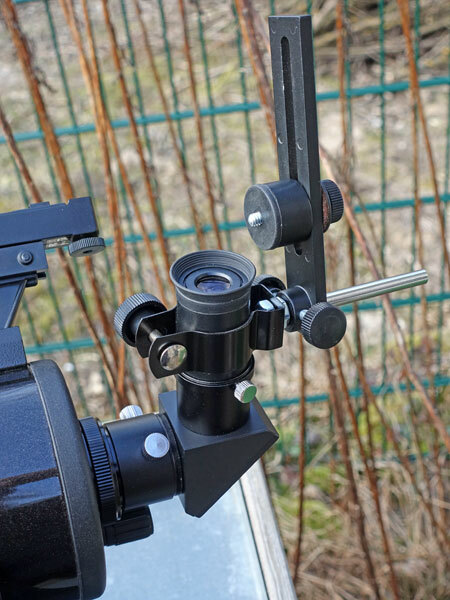 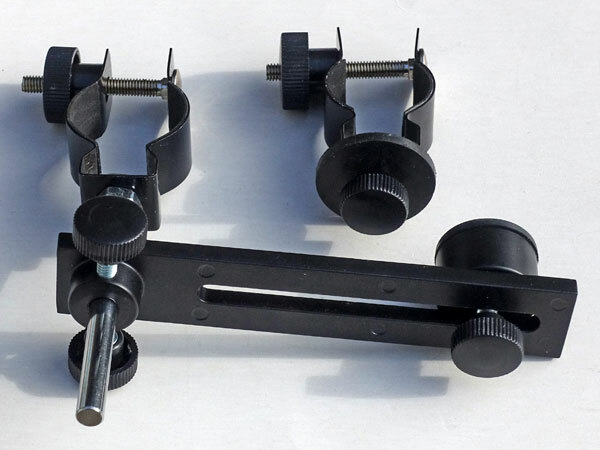 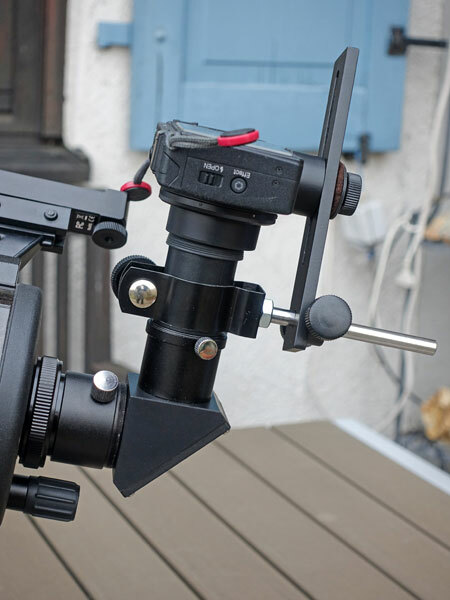 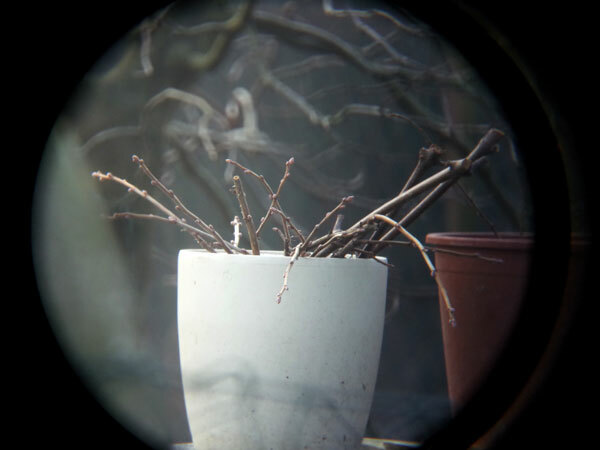 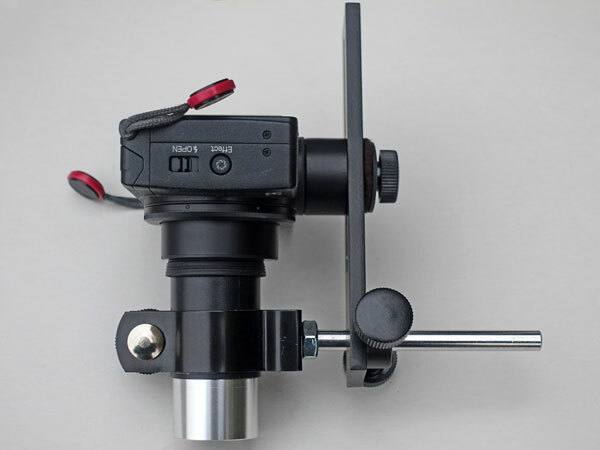 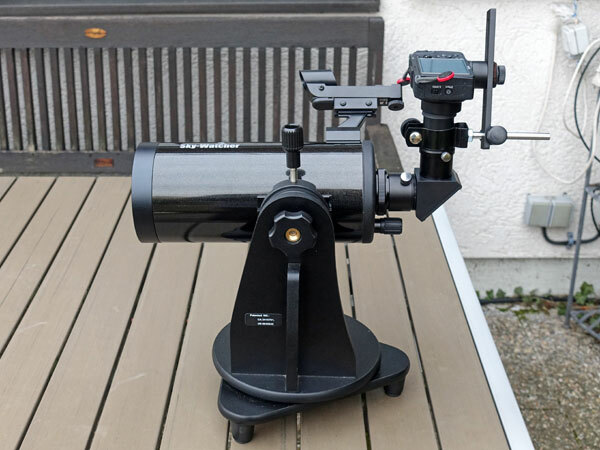 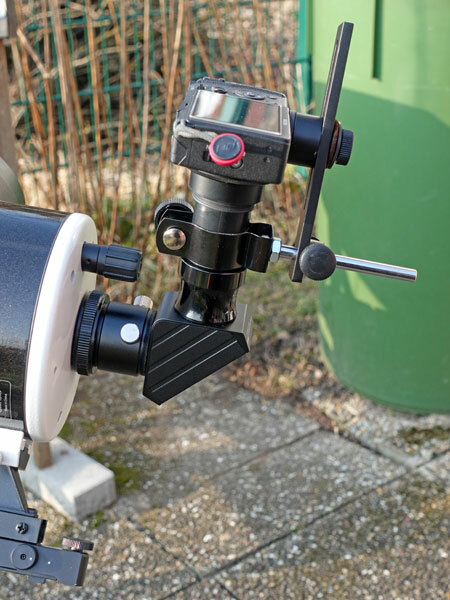 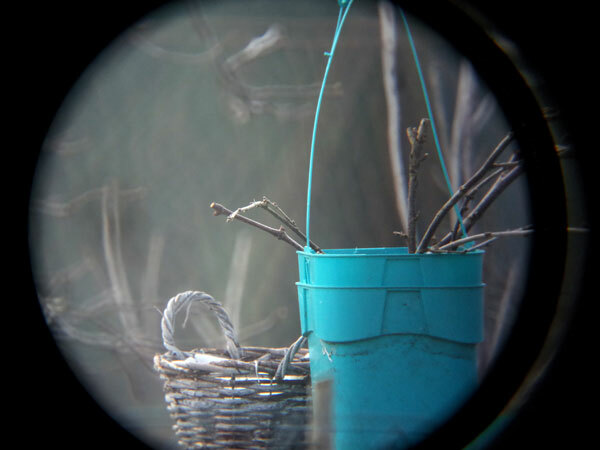 The only way to connect this camera to an eyepiece more firmly seems to make use of Digiklemme 1, which is sold by Teleskop-Express, or somethimng similar. 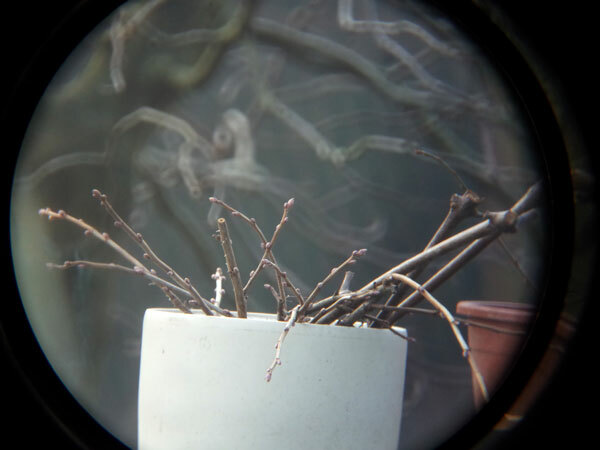 I describe this devoce in more detail on page Digiklemme 1. 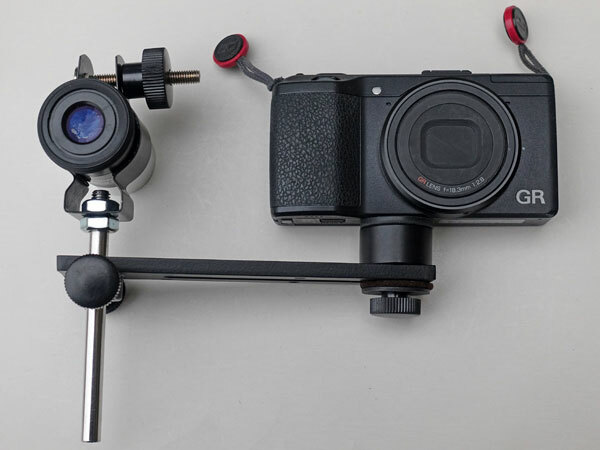 Here, the focus is more on the camera, but of course, the contents of both pages overlap quite a bit. 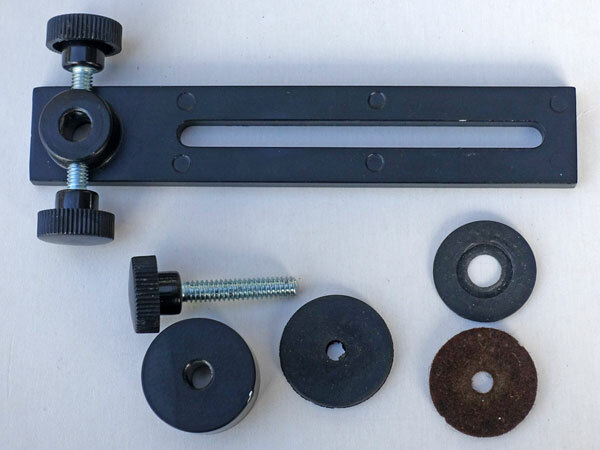 First, I show the Digiklemme 1, which is more of a "kit" and to which I added two washers. 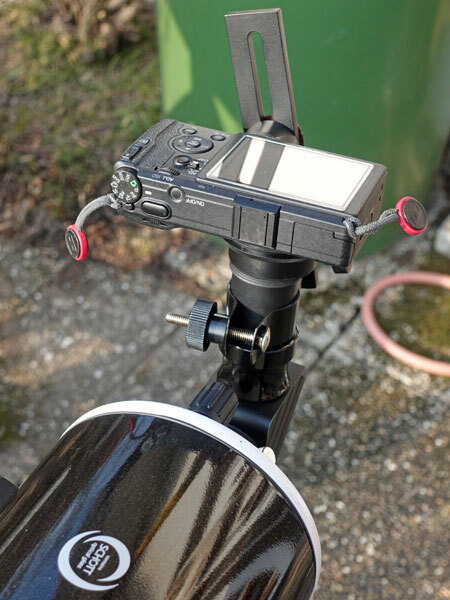 Here I show the Ricoh GR on the Sky-Watcher Skymax-102 telescope (Maksutov-Cassegrain), mounted with the Digiklemme 1 to the Sky-Watcher 25 mm eyepiece. 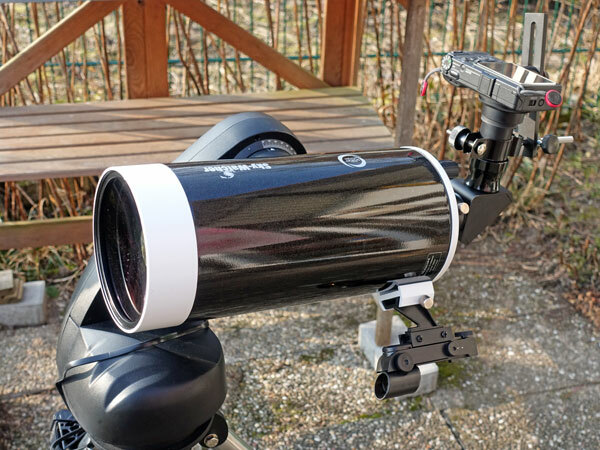 Here I show the Ricoh GR on the Sky-Watcher Skymax-127 telescope (Maksutov-Cassegrain), mounted with the Digiklemme 1 to the Sky-Watcher 25 mm eyepiece.